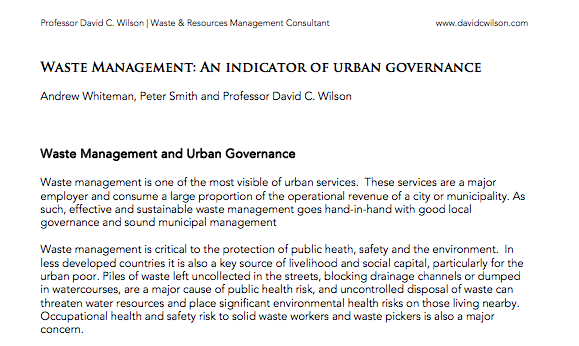 Professor David C Wilson is a senior and respected figure in waste and resources management in the UK and internationally. He is now working full-time as an independent consultant, specialising in high-level policy and strategy work. 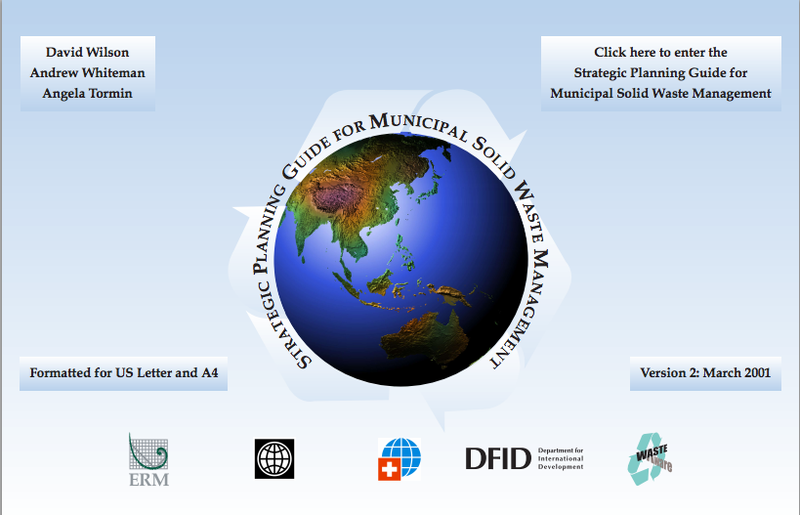 He is also Visiting Professor in Waste Management at Imperial College, London. 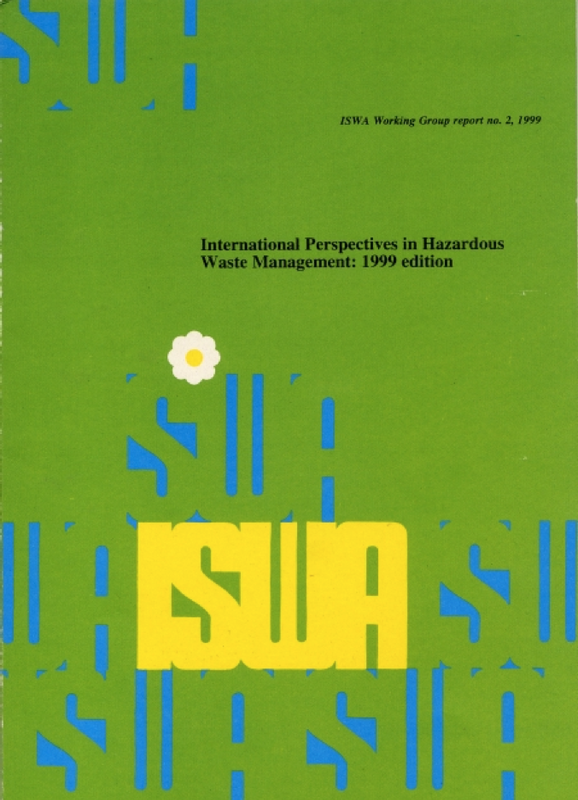 DCW has worked in waste and resources management since 1974. He began to work part-time as an independent consultant in July 2003 and has been full-time since October 2004. 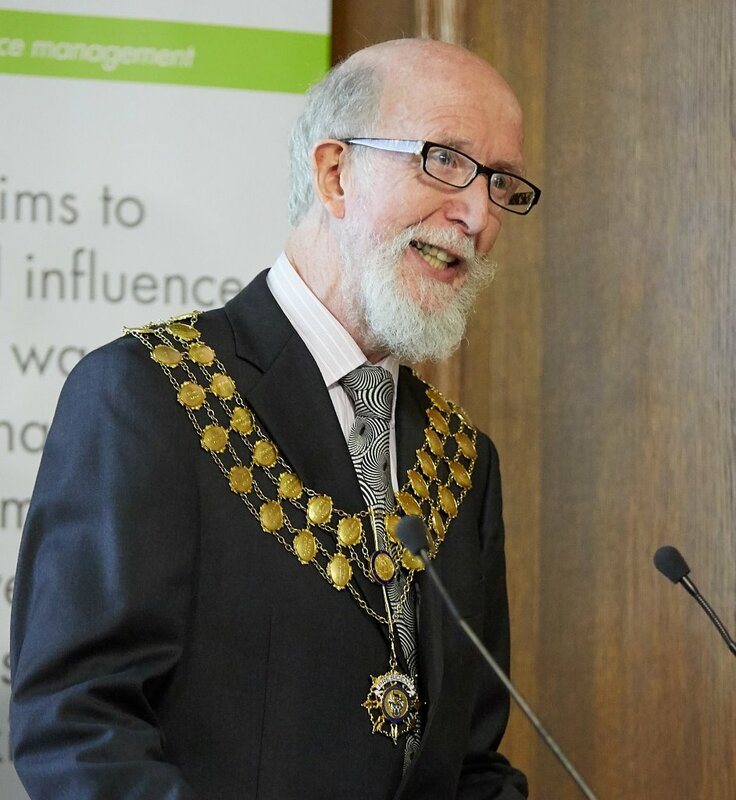 He has provided strategic advice to Defra (the English environment ministry) since earky 2004 on theirWaste and Resources Evidence Programme, aimed at providing sound evidence to underpin the development and implementation of waste and resources policy. 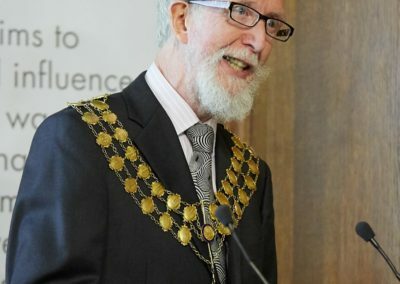 He was appointed a Member of the Order of the British Empire (MBE) in the UK’s 2006 New Years Honours List, ‘for services to waste management in the UK and Europe’. DCW spent the first 10 years of his career at the Harwell Laboratory, where, inter alia, he ran a hazardous waste research unit and wrote the first ‘Gas Works Report’ for the then UK Department of the Environment. 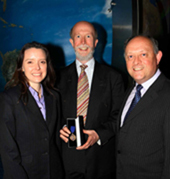 Prof David C Wilson receiving the 2004 J W Starkey Silver Medal from HRH Duke of Edinburgh at the annual awards ceremony of the Royal Society for the Promotion of Health. 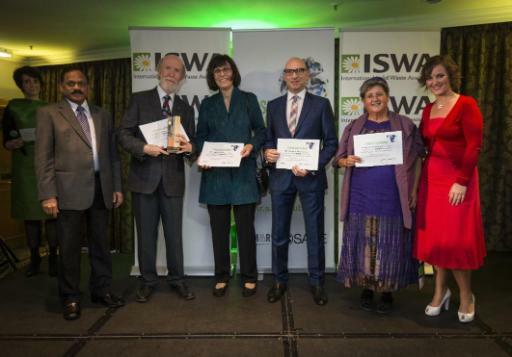 This prestigious award was in recognition of ‘outstanding merit in the promotion of health’, for his work as author of the ‘significant and important’ –‘Training Resource Pack for Hazardous Wastes in Developing Economies’. 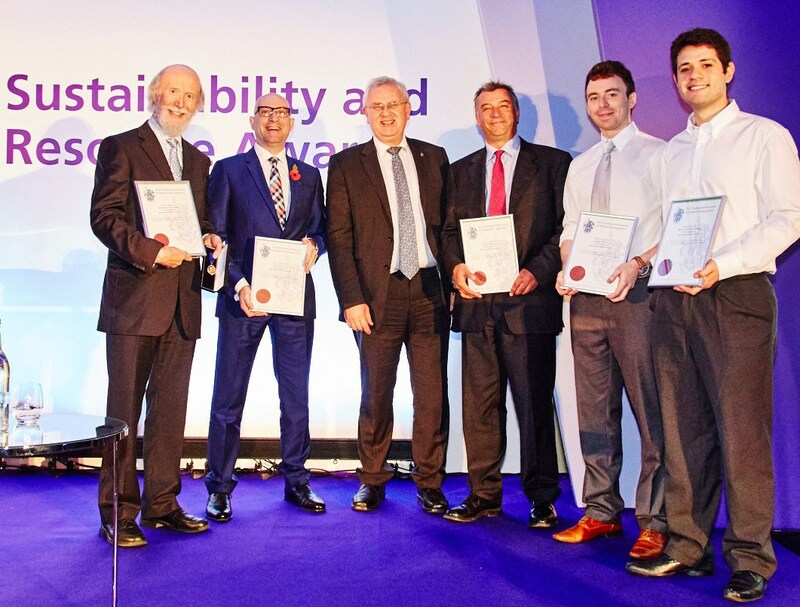 DCW with co-authors Costas Velis, Andy Whiteman, Darragh Masterson and Recaredo Vilches, receiving the James Jackson Medal and their certificates from CIWM Chief Executive Steve Lee (centre), at the annual CIWM Sustainability and Resource Awards at the London Marriott on 5 November 2015. 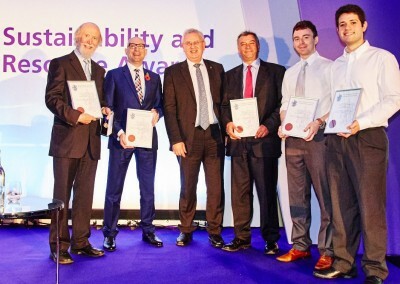 DCW, Costas Velis and Ljiljana Rodic were presented with their Telford Premium Award at the Institution of Civil Engineers Publication Awards ceremony on 17 October 2014. 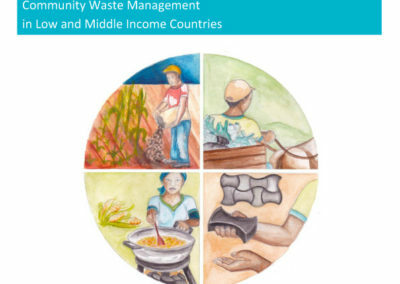 Their paper Integrated sustainable waste management in developing countries was one of the four best papers published in 2013 across all 27 peer-reviewed ICE journals. 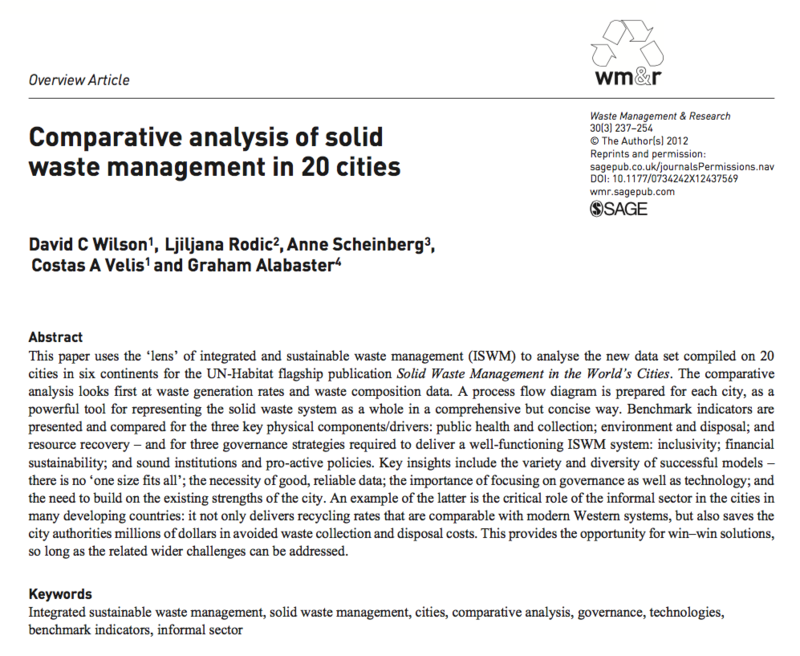 The paper is now free to download . DCW will present the paper in the Thomas Telford Prestige Paper Series of public lectures in London on 16 March 2015. 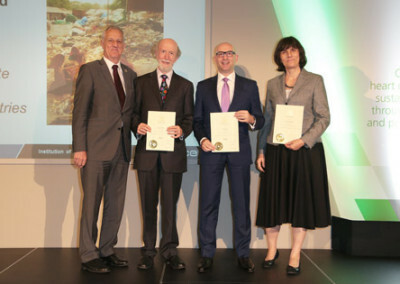 The UK Chartered Institution of Wastes Management’s Waste Regulation Award 2012, for the best paper published in 2011,has been won by Rachel Cahill, Prof David C Wilson and Prof Sue Grimes. 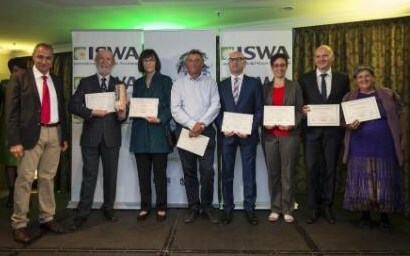 The winning paper was ‘Extended producer responsibility for packaging wastes and WEEE – a comparison of implementation and the role of local authorities across Europe’, published in Waste Management & Research. 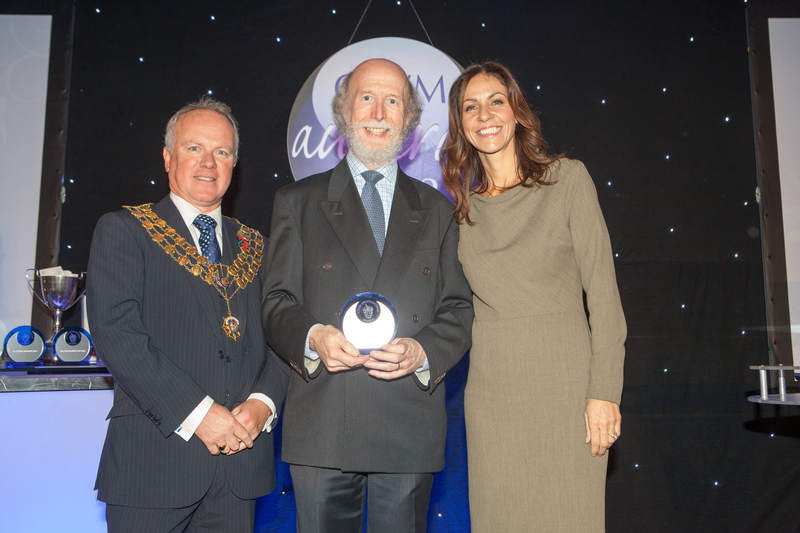 DCW received the award on behalf of the authors at the CIWM Awards 2012 ceremony at the London Marriott Grosvenor Square on 8 November, from the CIWM President John Skidmore and TV presenter Julia Bradbury. 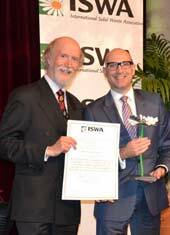 The UK Chartered Institution of Wastes Management’s James Jackson Award 2010 for Best Paper has been won by Prof David C Wilson. 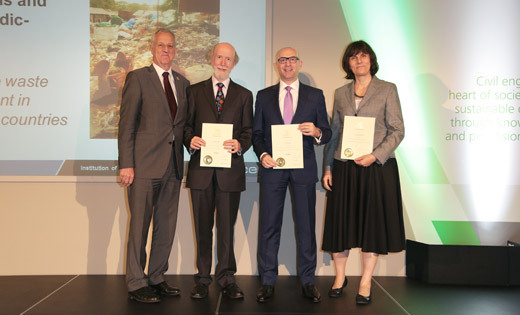 The winning paper was Household waste prevention – a review of evidence, published in Waste Management & Research, and resulting from a major evidence review which DCW managed for Defra. Shown from left are his co-authors Sara Giorgi, Jayne Cox, Veronica Sharp, Derek Greedy (CIWM President), Kathie Tiffany (Kit Strange’s daughter), David C. Wilson and Nick Blakey. The award ceremony on 18 October 2011 was tinged with sadness, because one of the co-authors, Kit Strange, died suddenly in August, 2011. 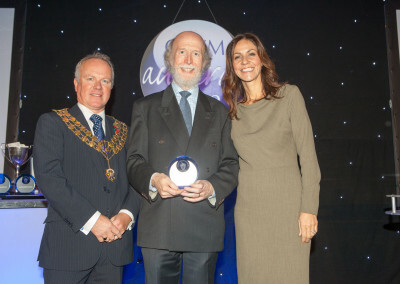 DCW and Nick Blakey had previously won the 2007 award. 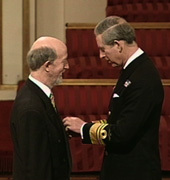 Prof David C Wilson receiving the 2004 J W Starkey Silver Medal from HRH Duke of Edinburgh at the annual awards ceremony of the Royal Society for the Promotion of Health. 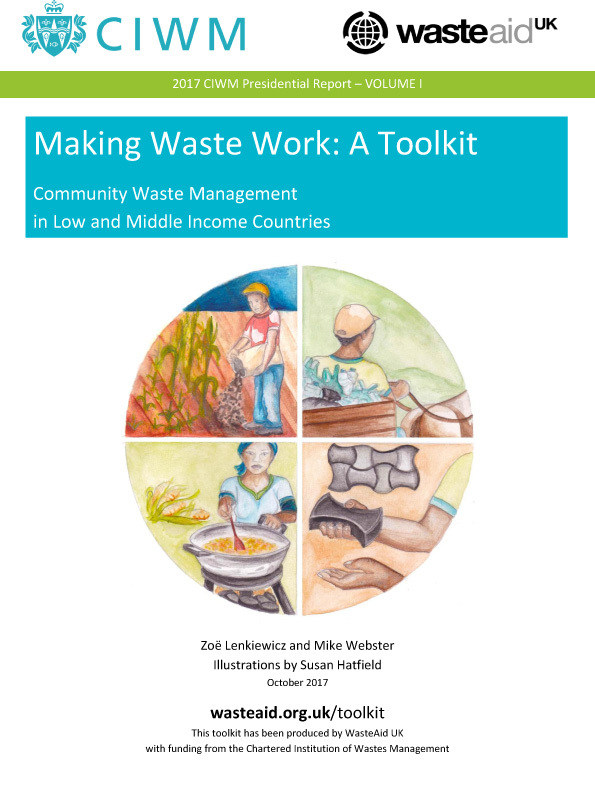 This prestigious award was in recognition of ‘outstanding merit in the promotion of health’, for his work as author of the ‘significant and important’ –‘Training Resource Pack for Hazardous Wastes in Developing Economies’.